As you prepare for this holiday season of celebration and giving, look around you. Some of the people you encounter along the way may be struggling with hunger, though you wouldn’t know it just by looking at them. 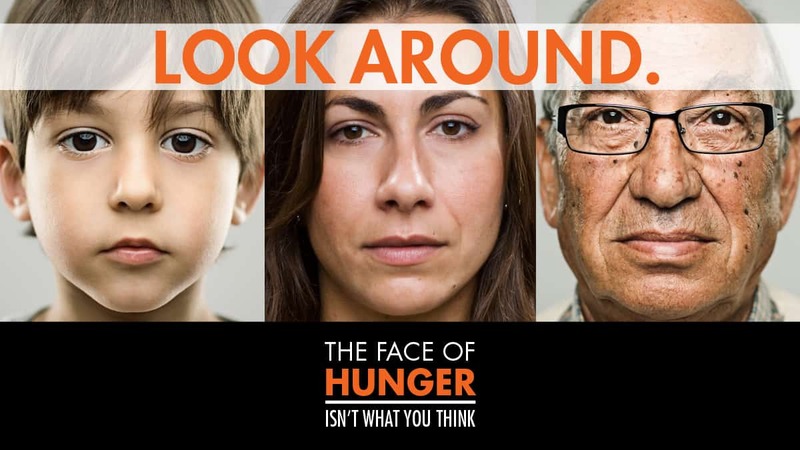 Hunger is everywhere, right here where we live, and it doesn’t look like you think. Children like Elijah know that their families are different because they struggle with food insecurity. They can’t pay attention in school or play with their friends without the warm, after-school meals that they receive from their local Kids Cafes. Hunger impacts students like Jennifer, who attends night school and works multiple jobs but still can’t make ends meet. It affects seniors like Robert, a widower who’s often forced to choose between paying for his diabetes medicine or food. With limited economic resources, he needs supplemental nutrition each month. Hunger touches our hardworking neighbors, coworkers, and friends. Your support of the FoodBank helps to keep them strong and healthy.